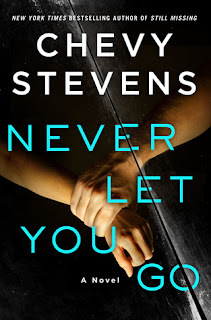 I've been a fan of Chevy Steven's work since I read Still Missing a while back. 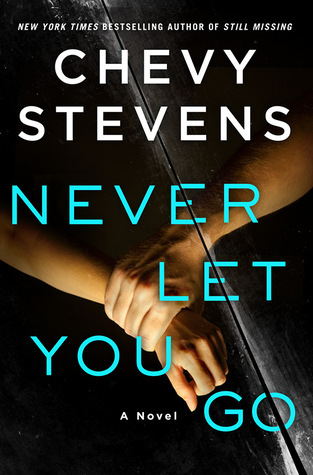 I was beyond thrilled to get my hands on her latest book, Never Let You Go and I was not disappointed! A true page turner, I couldn't put this one down. See my review below and continue reading to get a listing of all her books you can add to your TBR list - you won't be disappointed! Lindsey meets Andrew at the age of 19. 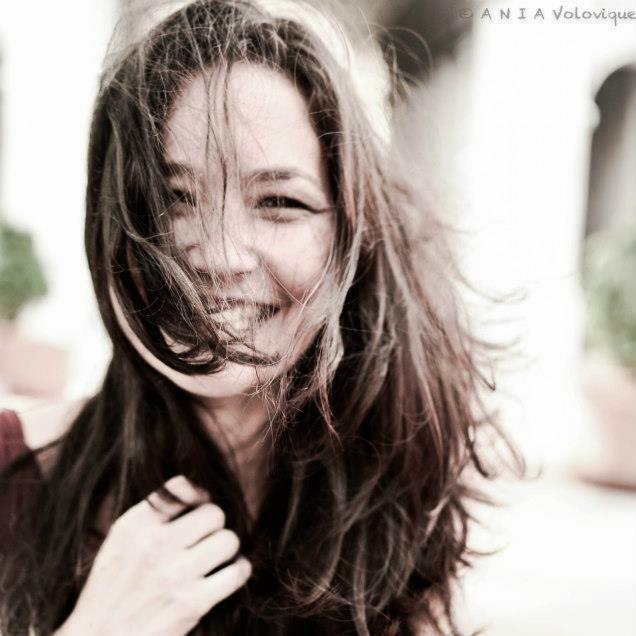 She becomes completely enthralled in her relationship with him and after their wedding day, she starts to notice signs of his possessiveness towards her. She gives up any dreams she has of a career and begins a family with him, giving birth to their daughter, Sophie. After years of abuse, in fear for her life and the life of her daughter, she finally manages to get away. Andrew ends up in jail after getting into a car accident killing the passenger in the other car and for 11 years, Lindsey finally felt safe. But now Andrew is out of jail and she is back on high alert. The story is told between the past and present, from Lindsey and Sophie's points of view. Sophie doesn't remember much from her childhood and her relationship with her father outside of what her mother has told her. Wanting so badly to have a relationship with him, she reaches out to him. First through letters and then through secret meetings. 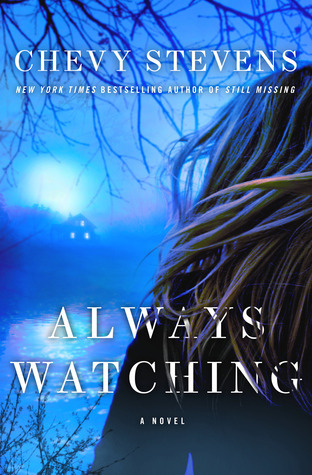 When signs of Andrew stalking her mother start to show, things start going haywire for them all - including the people who are trying to protect them from Andrew, or are they protecting themselves? I absolutely love Chevy's writing style. She pulls you in from page one and never lets you go (see what I did there?) An incredible psychological thriller about an abusive relationship and what a mother would do for her child, along with dope plot twist. Prepare to block out some time for this one. Once you get started, you're not going to want to stop until you reach the last page. Huge thanks to Chevy Stevens, Astoria Bookshop and St. Martin's Press for this advanced copy in return for my honest review. 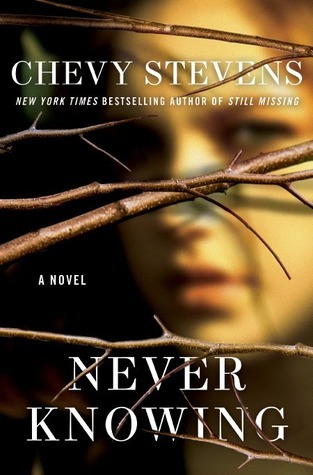 Still Missing interweaves the year Annie spent as the captive of a psychopath in a remote mountain cabin, which unfold through sessions with her psychiatrist, with a second narrative following the events after her escape—her struggle to piece her shattered life back together and the ongoing police investigation into the identity of her captor. 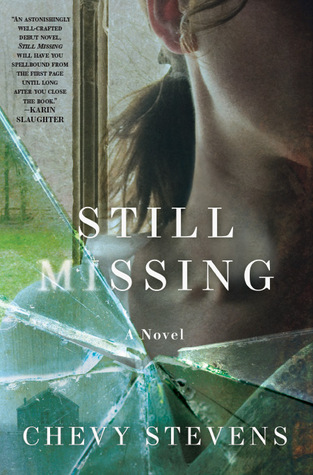 Still Missing is a shocking, visceral, brutal and beautifully crafted novel. As a teenager, Toni Murphy had a life full of typical adolescent complications: a boyfriend she adored, a younger sister she couldn’t relate to, a strained relationship with her parents, and classmates who seemed hell-bent on making her life miserable. Things weren’t easy, but Toni could never have predicted how horrific they would become until her younger sister was brutally murdered one summer night. Toni and her boyfriend, Ryan, were convicted of the murder and sent to prison. Now thirty-four, Toni is out on parole and back in her hometown, struggling to adjust to a new life on the outside. Prison changed her, hardened her, and she’s doing everything in her power to avoid violating her parole and going back. This means having absolutely no contact with Ryan, avoiding fellow parolees looking to pick fights, and steering clear of trouble in all its forms. But nothing is making that easy—not Ryan, who is convinced he can figure out the truth; not her mother, who doubts Toni’s innocence; and certainly not the group of women who made Toni’s life hell in high school and may have darker secrets than anyone realizes. No matter how hard she tries, ignoring her old life to start a new one is impossible. Before Toni can truly move on, she must risk everything to find out what really happened that night. But the truth might be the most terrifying thing of all. She helps people put their demons to rest. And then, the unthinkable happens, and Nadine realizes that danger is closer to home than she ever imagined. She has no choice but to face what terrifies her the most…and fight back. 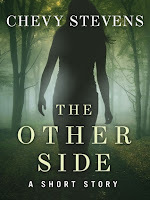 An original ebook short story from New York Times bestselling author Chevy Stevens featuring Psychiatrist Nadine Lavoie and Staff Sergeant Sandy McBride, from Never Knowing. 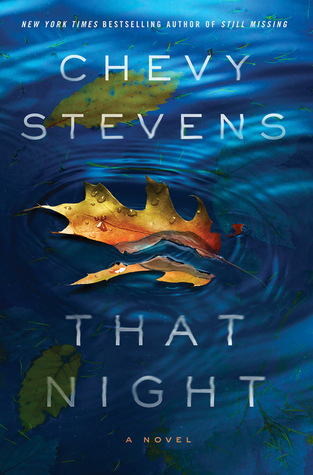 Sandy is working the biggest case of her life—the Campsite Killer, who has been hunting women for almost forty years. She’s finally close to nailing him, if she can just keep her head in the game. 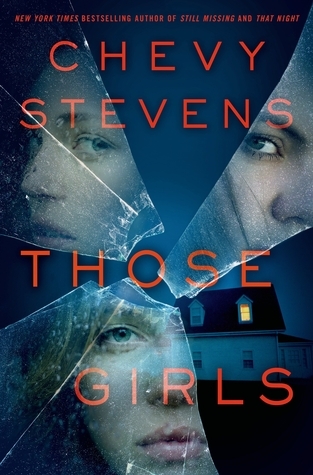 But when an old friend calls with a lead about Sandy’s mother’s murder, Sandy is pulled into the past—a past she thought she’d closed the door on. Her life is about to get real complicated, real fast.